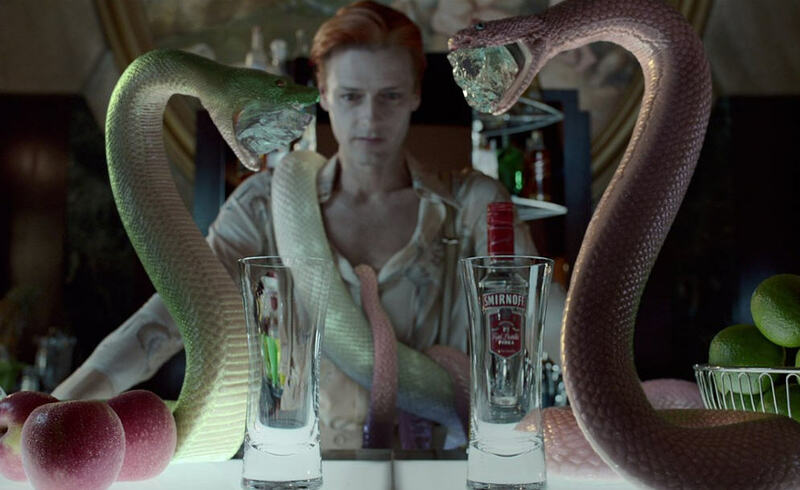 Look out for MPC's CG snakes in the intriguing new spot for Smirnoff Apple Bite. MPC’s 3D team created the CG snakes from scratch, modeling using Maya then adding individual texture and colours. Snake behaviour and movement were studied extensively to bring the boa constrictor, viper and cobras to life. Lighting was generated with Arnold renderer from Solidangle, employed to give an instantly rich and realistic look. The bartender was filmed in-camera with rigs designed to mimic snake movement inside his clothing, so the CG snakes then appear as if to emerge from his sleeves .